This lecture is in partnership and provided by the Fay Jones School of Architecture and Design lecture series. It starts at 6pm at the Arkansas Arts Center; a 5:30pm reception precedes it. The Fourth National Climate Assessment, released in late 2018, warned that the quality of life for residents across the southeast will be compromised as the built environment becomes ever-more vulnerable to increasing temperatures and flooding brought about by a changing climate, particularly as infrastructure ages and populations shift to urban areas. Professionals in design, architecture, and historic preservation can be the game-changers needed to support the continued vibrancy and viability of resilient communities amidst rapid environmental change. This interactive lecture will help the audience better understand the climate change impacts already underway in the southeast and, through examples from across America, the role the architecture and design community has in building a community-driven vision for a resilient future. This lecture will analyze the gaps in climate change adaptation for the built environment, and the opportunities to co-create buildings that produce adaptation and mitigation benefits, while focusing to help understand the concept of loss and damage in climate change, and examine the role architecture and design can play in loss and damage work. Dr. Victoria Herrmann is the President and Managing Director of the Arctic Institute, a nonprofit organization dedicated to Arctic security research. She is one of 16 women leaders in the top 100 U.S. think tanks, and the youngest of all 100. As a National Geographic Explorer, Dr. Herrmann traveled across the country in 2016 and 2017 interviewing 350 local leaders to identify what’s needed most to safeguard coastal communities against unavoidable climate change impacts. Her current JMK Innovation Prize project, Rise Up to Rising Tides, is creating a matchmaking program to connect skills-based volunteers with climate-affected communities for climate adaptation, historic preservation, and cultural heritage documentation projects. Dr. Herrmann teaches sustainability at American University and science communication at the University Centre of the Westfjords, Iceland. She was previously a Junior Fellow at the Carnegie Endowment, a Fulbright Canada Awardee, a Mirzayan Science and Technology Policy Fellow at the National Academies of Sciences, and a Gates Scholar at the Cambridge University. Architecture and Design Network (ADN) continues its 2018/2019 June Freeman lecture series by welcoming Eureka Gilkey, Project Row Houses’ Executive Director. Project Row Houses is a nonprofit organization in Houston, Texas that is dedicated to empowering people and enriching the Third Ward community through engagement, art and direct action. PRH was founded 25 years ago with a mission to be the catalyst for the transformation of community through the celebration of art and African American history and culture. PRH’s work with the Third Ward community began in 1993 when seven visionary African-American artists recognized real potential in a block and a half of derelict shotgun houses at the corner of Holman and Live Oak. Where others saw poverty, these artists saw a future site for positive, creative, and transformative experiences in the Third Ward. So, together they began to explore how they could be a resource to the community and how art might be an engine for social transformation. This is how the PRH story began. With the founders engaged with a community of creative thinkers and the neighbors around them, Project Row Houses quickly began to shift the understanding of art from traditional studio practice to a more conceptual base of transforming the social environment. While they were artists, they were also advocates. Over the next 25 years the organization brought together groups and pooled resources to materialize sustainable opportunities for artists, young mothers, small businesses, and Third Ward Residents helping to cultivate independent change agents by supporting people and their ideas so that they have tools and capacity to do the same for others. PRH is, and has always been a unique experiment in activating the intersections between art, enrichment, and preservation. The lecture will cover PRH’s rich 25 year history and how the nonprofit became an international model for artists and communities to address their needs for historic preservation and community enrichment. Though Joseph Taylor Robinson Memorial Auditorium opened in February 1940, there was still money that needed to be raised to finish the construction and the building’s furnishing. Ten days after the auditorium opening, the City Council approved an ordinance to call a special election on April 2, 1940, for the purposes of approving bonds for three separate projects. One of these was for $30,000 for the completion of the auditorium; the bonds would not require any additional tax levy. At the same meeting, a letter was read from the Young Men’s Business Association expressing support for the auditorium in the election, which was to be held in conjunction with the annual municipal general election. The Auditorium Commission had previously asked the City Council to consider issuing the bonds to pay for additional equipment for the building. In their request to the aldermen, the members stressed that due to the current bond structure, these new bonds would not necessitate any tax increase. The campaign for the new bonds used a similar structure and message as the 1937 election to build the auditorium. There were newspaper ads by the steering committee (this time simply called the Citizen’s Committee and led by Omar Throgmorton) and support from civic organizations. One thing very different from the 1937 campaign was the presence of an actual building. On Sunday, March 31, just two days before the election, there was an open house for the public to explore the edifice. On April 2, 1940, Little Rock voters approved the new bonds 1,413 to 423. Every precinct in every ward of the city voted in favor of the new bonds. Shortly after the election, the bonds were issued. The auditorium construction which had first been broached in 1904 was now completed in 1940. On March 31, 1940, the City of Little Rock and the Auditorium Commission threw open the doors of Joseph Taylor Robinson Memorial Auditorium to the public for an open house. The building had officially opened in February 1940 (after construction was completed in January), and events had been taking place in the lower level since October 1939. But this was the first time that the public could tour the entire facility from top to bottom. The event took place on a Sunday from 1pm to 9pm. Curiously, it took place two days before a special election to approve the bonds to finish the auditorium. Though no one at the time was cynical enough to comment on the connection. Members of various Little Rock Boy Scout troops led 4,000 visitors on tours of the auditorium. Visitors were shown all over the building; one scout calculated that the walking tour equated to two miles. Though most people were from Little Rock, the guest registry indicated visitors from California and Pennsylvania. Among the last guests to sign the register were Mayor J. V. Satterfield and his family. The idea for the open house had first been floated in December by Alderman E. W. Gibb after taking a tour of the construction site. He had enthusiastically professed that everyone should be able to tour and see what a magnificent structure it was going to be. Mayor Satterfield had to tamper the alderman’s enthusiasm. He agreed with Mr. Gibb that it was a fine building but stated that a public open house could not be scheduled for a few weeks because there was still much work to be done. Mayor Satterfield noted that the seats in the music hall were going to have to be removed and then reinstalled because they needed to be anchored better. 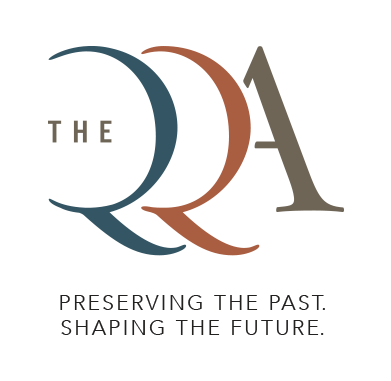 Join the QQA for the start of the 55th Tour of Homes, 2019! Attendees will party like its 1929 at the Albert Pike Hotel and get an exclusive sneak peak at the homes chosen for this year’s tour in the MacArthur Park Historic District. Tickets are $40.00 at the door. QQA will introduce guests to the houses selected for this year’s tour, serve up some delicious food and a signature cocktail, and listen to music by local band Whale Fire. The Spanish-Revival style Albert Pike Hotel was built in 1929 at a cost of one million dollars. It was one the best known hotels in Little Rock for many decades. At the 2019 Governor’s Conference on Tourism, Gretchen Hall was named Tourism Person of the Year. This is just the latest honor for her. In 2017, she was the first woman to solely receive the Downtown Little Rock Partnership’s Top of the Rock Award. As the President and CEO of the Little Rock Convention and Visitor’s Bureau, she leads a staff that not only brings conventions and tourists to Little Rock, but also creates opportunities for local residents to enjoy their city more. From 2014 to 2016, she actively oversaw the deconstruction and reconstruction of Robinson Center Performance Hall. Taking a New Deal era assembly hall and making it into a state-of-the-art performance facility was not an easy task. Gretchen and her team have worked with the architects, engineers, designers and consultants to make it happen. Gretchen joined LRCVB in 2001 and worked her way up through the organization. In May 2011, she was named to her current position. Since that time, the LRCVB has undertaken numerous efforts to enhance Little Rock including a new amphitheatre in Riverfront Park, enhanced programming at the River Market, and increased financial support of cultural organizations. She has worked to improve not only the meeting space available for conventions, but also to enhance the dining and lodging scenes in Little Rock. In addition, she helped lead the effort to see the additional penny of the hotel tax be dedicated to support the Arkansas Arts Center and MacArthur Museum of Arkansas Military History.